Funktion-One’s first time exhibiting at NAMM drew a great response from visitors and fellow exhibitors. 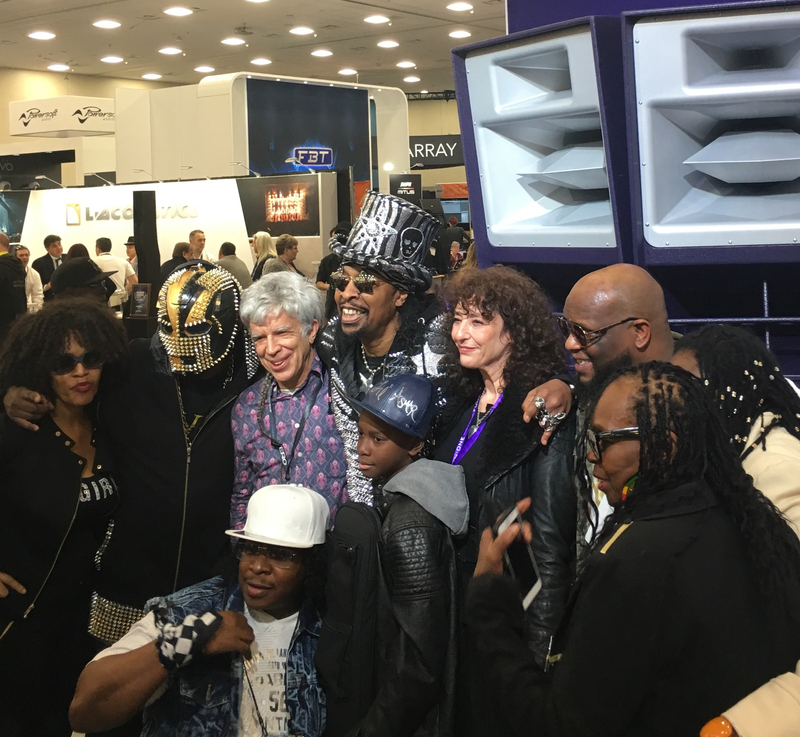 Over the four days of the show – held from 25-28 January at the Anaheim Convention Center in California – a busy stand welcomed a host of familiar faces, from local distributors Sound Investment to the music legends like Bootsy Collins. On the Saturday of NAMM, Tony also took part in an hour-long Q&A session, hosted by former Pro AVL Asia editor Barney Jameson. The conversation covered Tony’s career, ranging from the early days of establishing the pro audio industry in the 1970s with Turbosound to reinventing club culture with Funktion-One. For more info on the F124 click here to learn more – or watch Tony talk through the F124’s features in this Pro AVL Asia interview.